Calgary, Alta. 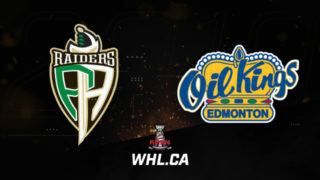 – The Canadian Sport School Hockey League (CSSHL), in partnership with the Western Hockey League and the Saskatoon Blades, will stage the second of two WHL/CSSHL Showcases this weekend at SaskTel Centre in Saskatoon, with six Bantam Prep teams competing against each other throughout the weekend. The weekend will also provide the opportunity for students and parents to participate in information sessions on the WHL’s world leading player development and education benefits, including the WHL Scholarship. The WHL / CSSHL Saskatoon Showcase will feature six CSSHL Bantam Prep teams from the following sport schools: Notre Dame Hounds (Wilcox, Sask. ), Pacific Coast Hockey Academy (Victoria, B.C. ), Pursuit of Excellence (Kelowna, B.C. ), Rink Hockey Academy (Winnipeg, Man. ), Shawnigan Lake School (Shawnigan Lake, B.C. ), Yale Hockey Academy (Abbotsford, B.C.). As part of the WHL / CSSHL Showcase, all CSSHL Bantam Prep teams will also attend the WHL game on Saturday, December 16 (7:05 p.m. CST) between the Blades and Kelowna Rockets at the SaskTel Centre. In a special pre-game on-ice ceremony, the captains of the six teams will be recognized by the Saskatoon Blades and their fans. Students will also be given a tour through the Saskatoon Blades practice facilities, showcasing the commitment to player development and educational advancement at the WHL level. While the focus will be on the ice, the WHL and CSSHL have partnered to provide students and parents with information sessions on the WHL player experience. 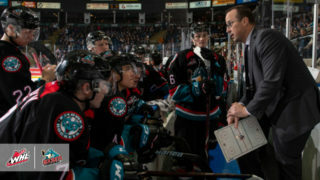 The WHL will provide access to a special guest speaker, in addition to WHL Vice President Hockey, Richard Doerksen, participating in the sessions to provide further insight into the hockey development and educational opportunities available through the WHL. The guest speaker at this weekend’s showcase is former Kamloops Blazers captain and current University of Saskatchewan Huskies forward Collin Shirley. 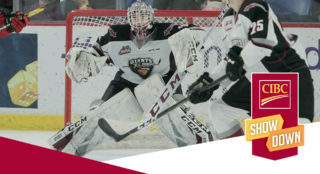 A product of Saskatoon, Sask., Shirley was drafted by the Kootenay ICE in the first round, 17th overall, in the 2011 WHL Bantam Draft, going on to play 344 WHL regular season games for the ICE and Blazers. During his WHL career, Shirley had the opportunity to represent Canada on the international stage, Playing in the 2012 World Under-17 Hockey Challenge. 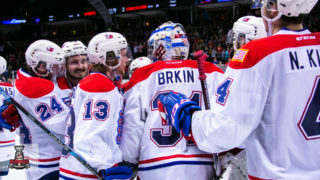 During his WHL career, Shirley had the opportunity to attend National Hockey League development camps with the Dallas Stars and Edmonton Oilers. Following the conclusion of his WHL career, Shirley choose to access his WHL Scholarship and return home to Saskatchewan and become an integral member of the 15-time Canada West champion University of Saskatchewan Huskies. 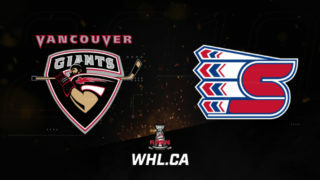 At the conclusion of each game the WHL will present player of the game awards. Following the final game of the showcase, the WHL and CSSHL will select the showcase’s Most Valuable Player to recognize the individual who stood out the most and contributed to his team’s success through the four days. Sponsoring this year’s MVP Award is the WHL Combine powered by the Okanagan Hockey Group, another developmental tool offered to prospective players by the WHL. 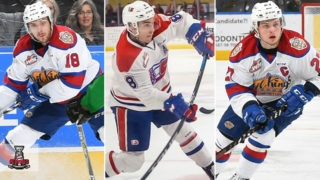 With five dates listed on this year’s WHL Prospects Combine Schedule, the events focus on generating a deeper discussion with players, educating them on their physical health and well-being as well as working with them to understand the demands required by competing at the WHL level. All data collected from the five stops on this year’s combine schedule is shared and used by WHL clubs to track and identify players ahead of upcoming WHL Bantam Drafts. The CSSHL was established in 2009 and currently features 19 Hockey Canada Sports Schools and 69 teams across Western Canada and Idaho. The league was designed specifically for elite level student athletes, giving them the opportunity to increase their skills off and on the ice, while also providing them with a high level of competition and exposure. Currently, the CSSHL includes seven different divisions at the Bantam, Midget and Female levels.